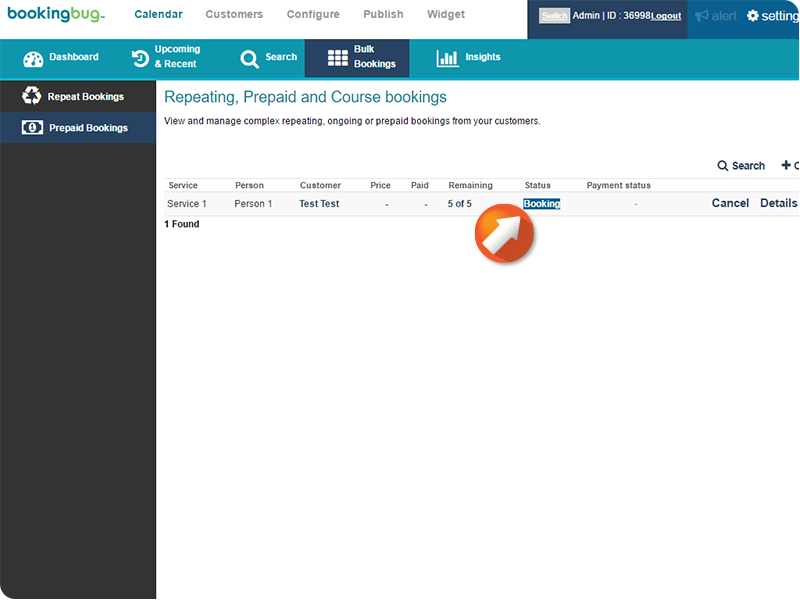 Repeating, Prepaid, and Course Bookings can be managed from the Calendar. 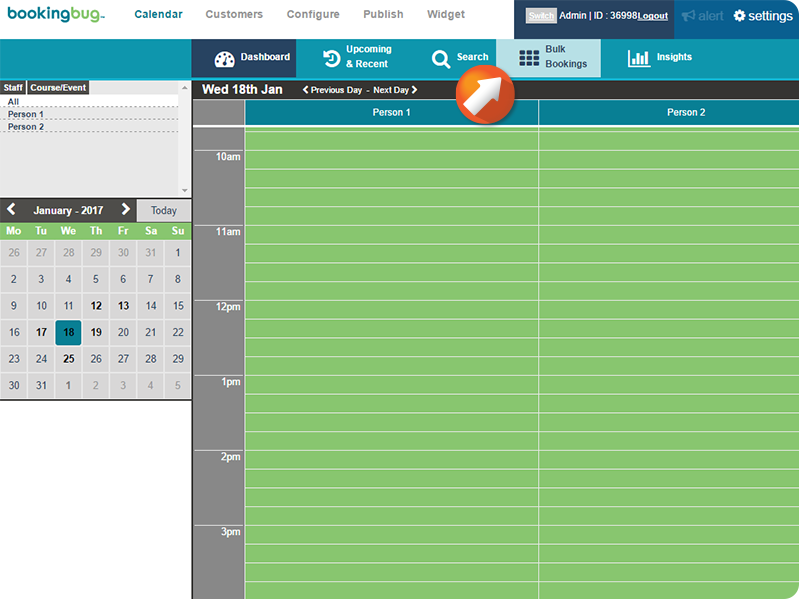 From the Dashboard, click Bulk Bookings to access. 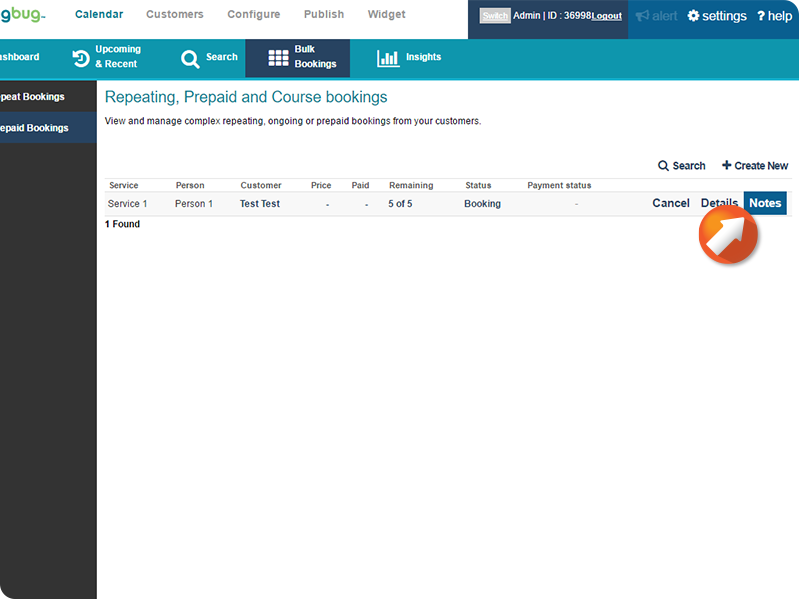 Click the Customer field to view Customer details for the selected Bulk Booking. 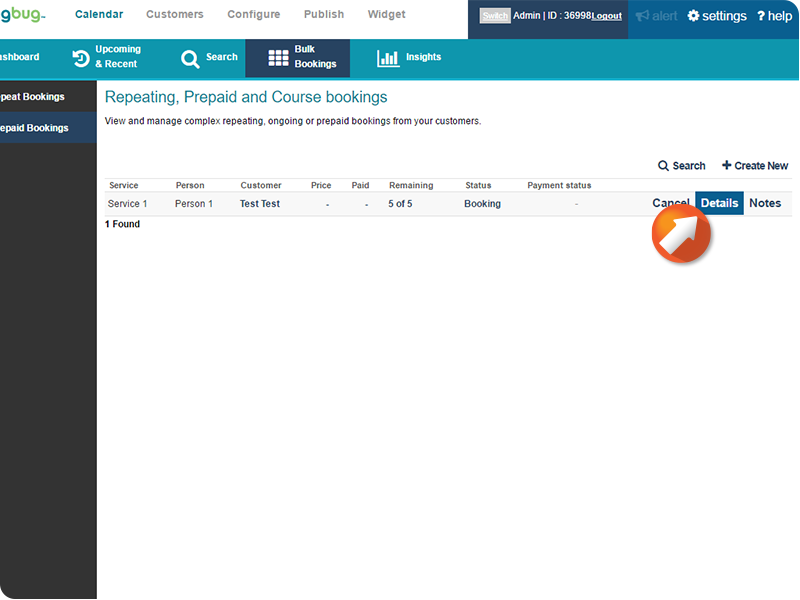 Click the Status field to adjust the status of the selected Bulk Booking. 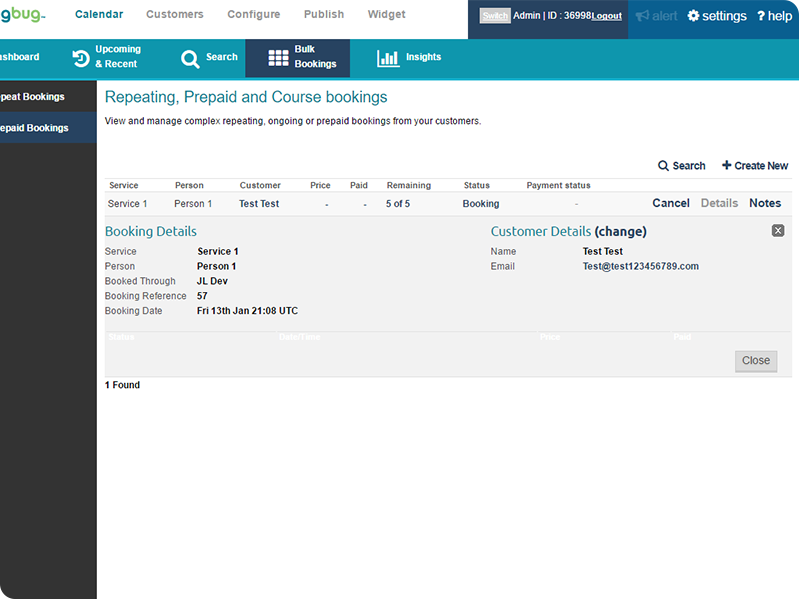 Bulk Booking details for the purchase will be displayed. 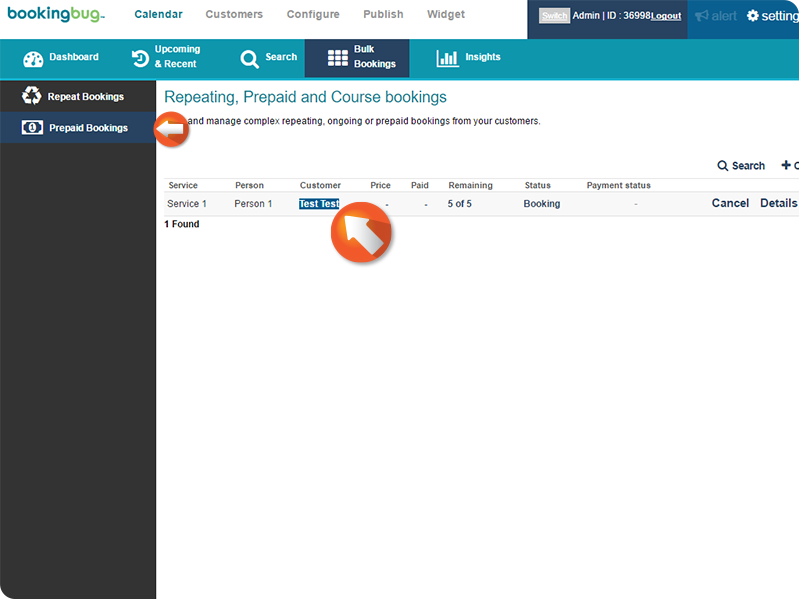 Click to edit Booking Questions, then click Save. How do I set up repeat bookings?